Does Your Car Suspension Need Repair? Your vehicle’s suspension issues can prove difficult to diagnose. They are often confused with tire problems. A suspension system supports a lot of metal as you drive each day. If your car is several years old, you may feel the effects of the suspension system wearing down. You should not ignore signs of suspension problems. A worn-out suspension system could compromise your control of your vehicle, especially as you try to turn or apply brakes. Pulling to one side – If you feel your vehicle veering to one side or another as you drive, your suspension system might be the source of the trouble. Make sure to consult a professional. Your vehicle could be pulling for many reasons, which include uneven tire pressure, poor alignment or a brake caliper that sticks. If you live in Salt Lake County, try taking your vehicle to a West Jordan auto repair shop so you can ensure a correct diagnosis. Bumpy ride – When you feel every bump or dip in the road, it could be your shocks or struts telling you that they need replacement. To get to the bottom of the problem, give your car the “bounce test.” While it is parked, put all your weight on the front end and then release. See if the vehicle bounces back and forth at least three times. If it does, you probably have problems with your shocks and struts and should visit a Utah auto repair shop. One corner of the vehicle sits low – You likely have a suspension problem if you notice one corner of your vehicle sitting lower than the others while it is parked on level ground. You may also notice a dunking noise when going over bumps. Difficulty in steering – If steering your vehicle takes extra muscle, even when you are driving slowly, there could be something wrong with your suspension. Low power steering fluid or a faulty power steering rack could also contribute. 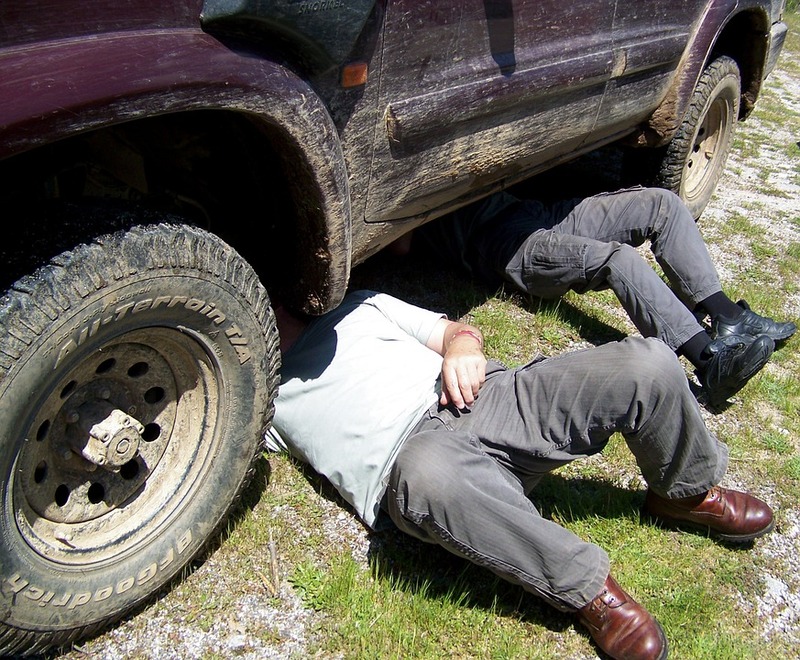 If you suspect that your tires are part of the problem, get at Burt Brothers auto repair shop. Tire Store Utah > Blog > Does Your Car Suspension Need Repair?